The crabs are delivered to the hotel twice a week and are about the size of a fist. 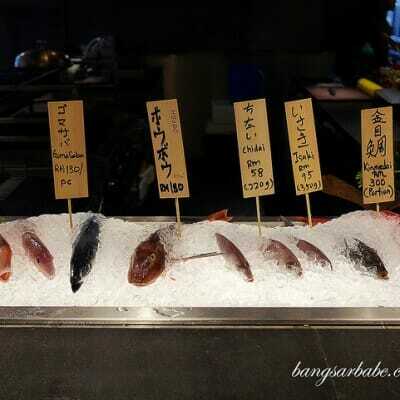 Cheryl and I had the steamed version with ginger slivers and vinegar. Best part about this hairy crab experience? 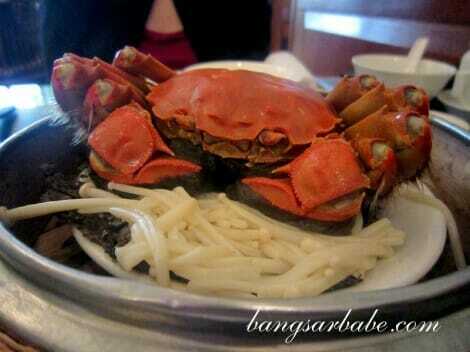 The waiter will serve the crabs to you opened (including the legs) so you don’t have to ruin your manicured fingers. 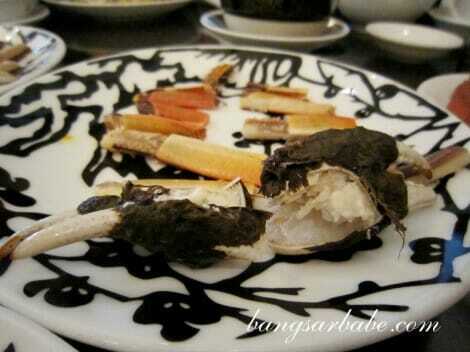 The crab roe was incredibly rich, sweet and creamy, while the flesh is firm and sweet. 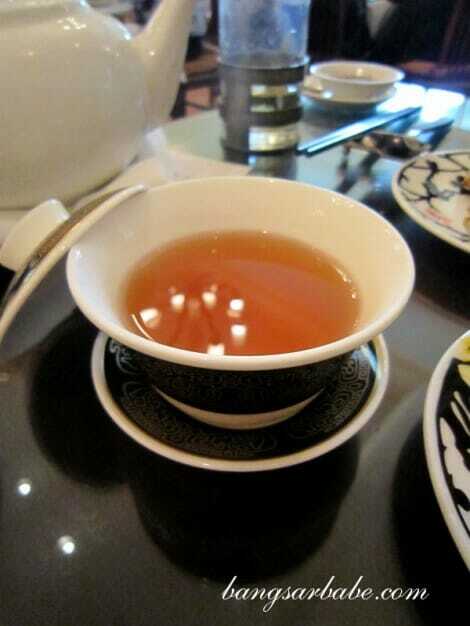 I also enjoyed the ginger tea which is said to offset the ‘wind’ from eating crabs. Medicinal or not, it was yummy. Spicy, fragrant and not overly sweet. 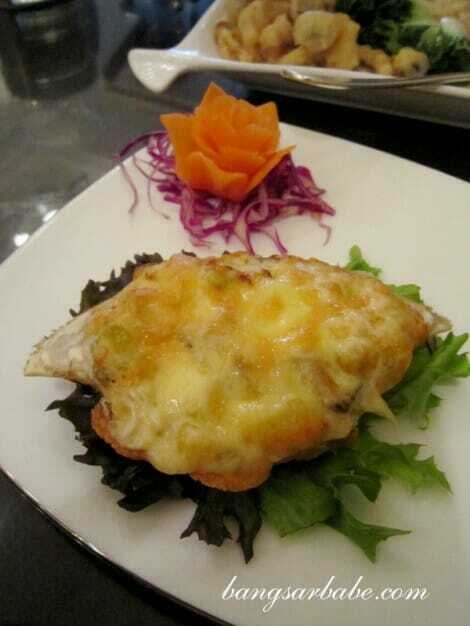 The Oven Baked Stuffed Crab Shell with Diced Mushroom and Diced Pumpkin was rich in flavour and had a lovely texture. That said, it was a bit of a waste as I couldn’t taste the natural flavour of the crabs. 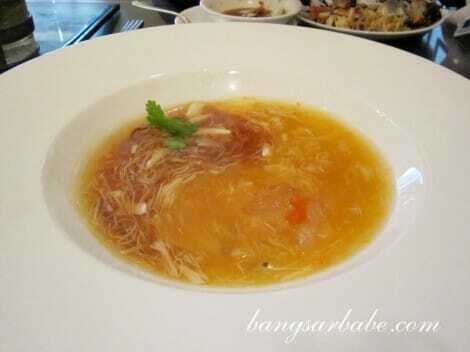 We also tried the Braised Bird’s Nest with Hairy Crab (RM168). This was delicious, but I found the crab meat a bit scant in this one; especially for that price tag. 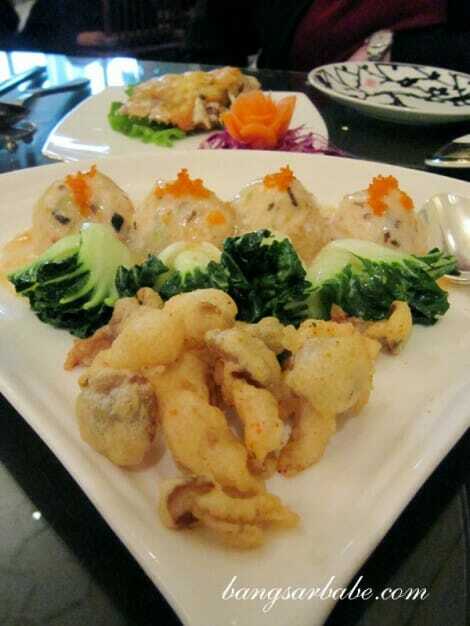 The Steamed Prawns Ball with Hairy Crab Meat and Roe in Egg White Sauce was also quite tasty, but in a less exciting way. 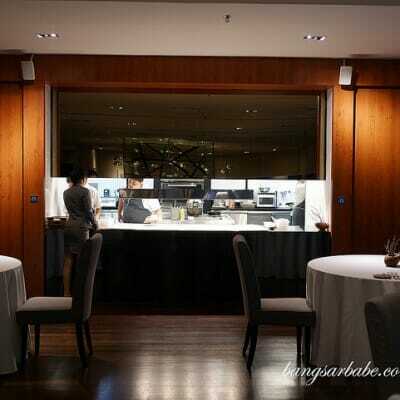 Cheryl was worried there was not enough to eat (but she forgot that I had a really really tight wedding gown to fit!) 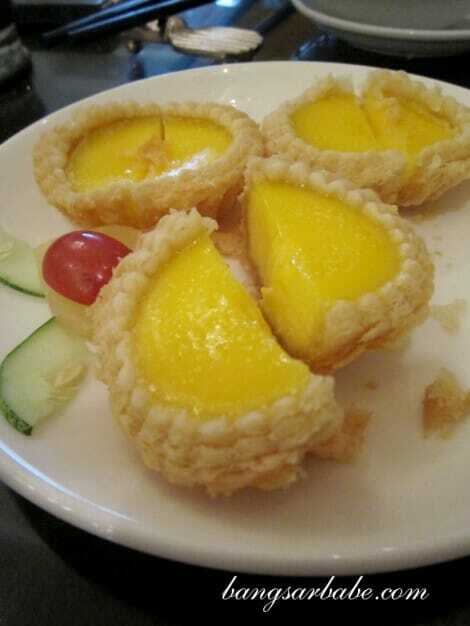 and ordered some dim sum for me. 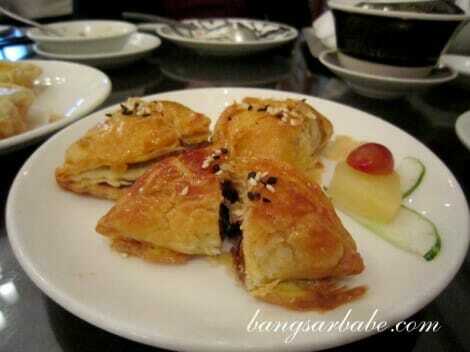 The baked chicken char siew puff was as good as always and so were the egg tarts. 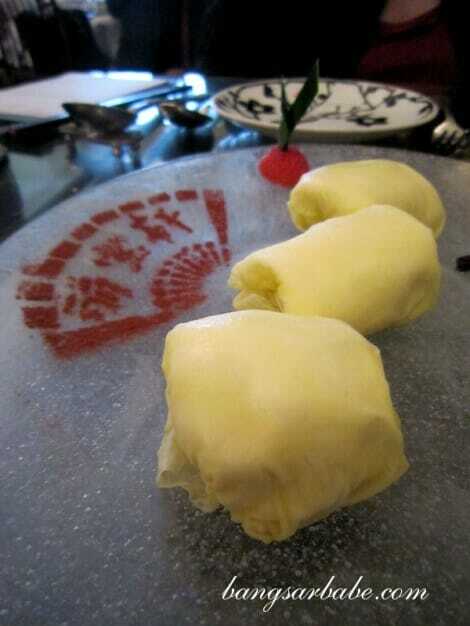 Lai Po Heen’s durian pancake is by far the best I’ve tried in KL — so luscious and generously packed with the king of fruits. I had one, and saved the other two for rif. 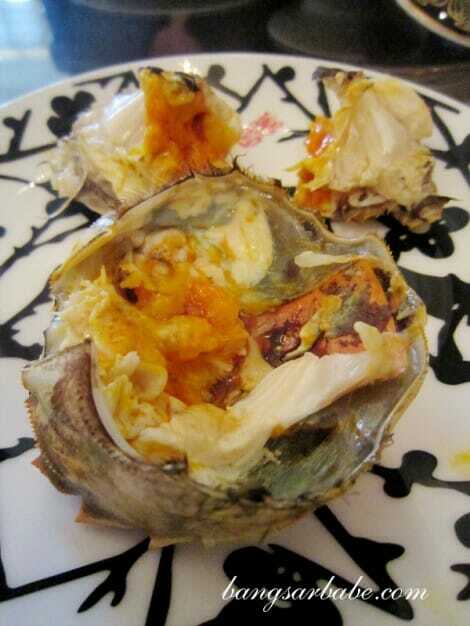 The first photo of the hairy crab’s roe in full glory is just droolworthy.